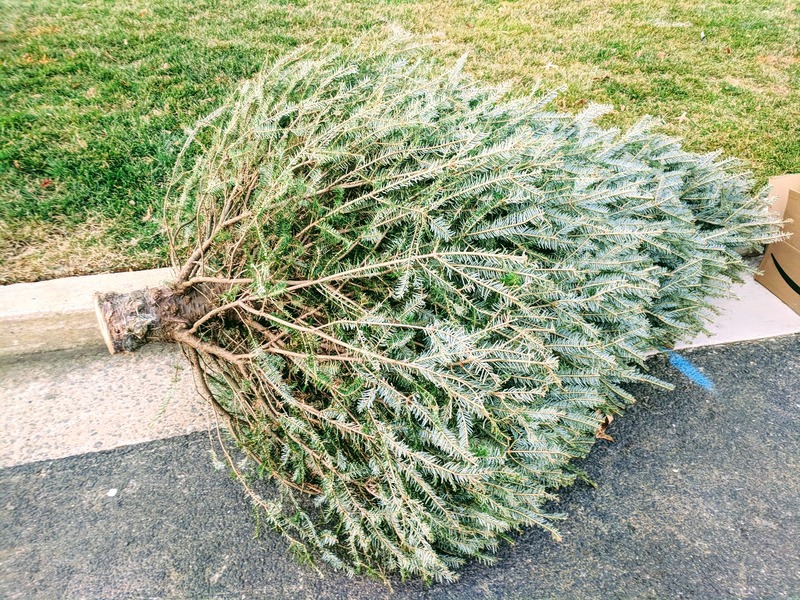 Trees collected intact by the County on regular Monday-Friday weekly trash days following Christmas and later turned into mulch available from County facilities. Place trees at curb no later than 6 a.m. on your regular trash collection day after removing ALL decorations, nails, stands and plastic bags. After Jan. 11, Christmas trees are handled at curbside as part of regular year-round yard waste collection, which means turned into mulch. Trees over 8-feet long will need to be dismantled. Residents without regular curbside pickup, including those living in townhomes, apartments and condominiums, can bring Christmas trees to the Solid Waste Bureau’s Earth Products Yard in Shirlington. For safe dropoff, call 703-228-6570 to schedule an appointment, Monday-Friday, 8 a.m.-3 p.m. Bring proof of residence in Arlington.